Finally, after many years waiting, Woolworths has finally found a foothold in Chatswood. Until now, Coles has had the upper hand in supermarkets in Chatswood with stores at the Chase and at Westfields. 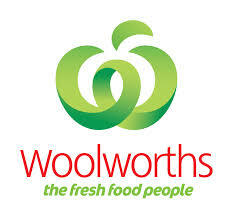 For years, Woolworths have been trying to find a suitable site for a store. 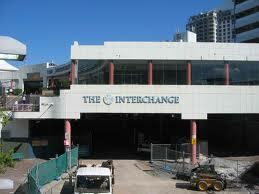 They have bought land (the old Holden Service Centre) in East Chatswood. However, that site is not zoned for a supermarket. Typically, a large supermarket requires around 10,000 sm. Unfortunately, the Supermarket store to open at the Chatswood Interchange is a mere 2,000sm. Some competition is better than nothing. The Gordon Club is seeking an extension of operating hours to 3AM, 7 days per week. The extension is for the main Club and the Alfresco Gaming Area. It is proposed to construct an acoustic wall and other associated works. Currently the club trades to 1AM, seven days per week. It is interesting to note that just as restrictions on alcohol trading in the City of Sydney come into play that a Chatswood Club is seeking trading approval to 3AM. Will we see similar levels of cowardly behavior in Chatswood Streets in the future? We also wonder if the Club might start busing people from the city to Chatswood after premises close in the city. In the past, the Club’s outdoor areas have been problematic with numerous calls to Willoughby Council by residents kept awake by the noise. 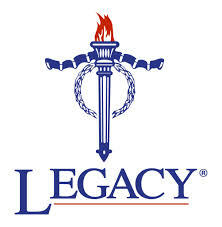 The following questions(s) were posed by Clr. Lynne Saville. There is an analysis of the responses received in the COMMENT below. Will the Council management of Crown Lands within the Willoughby LGA be affected in any way with the passing of the Crown Lands Amendment (Multiple Land Use) bill 2013 on 20th November? Can you please outline any changes particularly with regards to the legal validity of secondary tenures over Crown reserves in Willoughby that may result from the Bill? Were any crown lands in Willoughby in jeopardy prior to the passing of the bill? Question 1: Can you please outline any changes particularly with regards to the legal validity of secondary tenures over Crown reserves in Willoughby that may result from the Bill? Secondary tenures which might previously have been the subject of doubt will no longer be subject to challenge if they meet the requirements of Section 34AA (2). Question 2: Were any Crown Lands in Willoughby in jeopardy prior to the passing of the Bill? Any secondary interest granted over land subject to a reserve trust may have been in jeopardy prior to the passing of the Bill. purpose of the reserve was in jeopardy of invalidation. Question 3: Does the bill provide more certainty for Council’s role in the management of Crown Lands within this LGA? The Bill does provide more certainty for Council’s role in the management of its Crown Lands. In particular the Act provides clear guidance as to the factors relevant to the grant of second use tenures. Reasoning: Section 34AA provides a clear test as to when the Minister may grant a second use tenure and sets out the factors relevant to the determination of whether that second use or occupation is valid. Conclusion: the amendments made to the Crown Lands Act 1989 by the Crown Lands Amendment (Multiple Land Use) Bill 2013 will assist Council in determining whether it has power to grant second use tenures of Crown Reserves and will protect exiting second use tenures which meet the requirements of Section 34AA. The West Ward community has become aware of an Ausgrid (14 Nelson Street) plan that will see our local street parking come under more pressure as well as deteriorating traffic congestion. 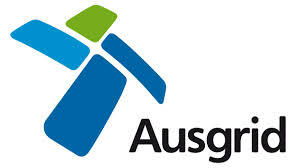 Ausgrid are changing their vehicle policy over the coming months, meaning Ausgrid employees must return work trucks to the depot between Nelson Street and Mowbray Road every day. For the last 20 years employees have been taking their trucks home. Thus Ausgrid staff will now have to park their personal cars in nearby residential streets (Nelson Street and Orchard Road) while they are at work for Ausgrid . This means workers will arrive from 6am and leave around 4-5pm, contributing to West Ward traffic congestion. As well, local West Ward residents will also endure up to 400 Ausgrid truck movements every day on the surrounding roads when the trucks are picked up and dropped off every morning and afternoon. Consideration is being given to making voting compulsory for businesses in Central Business Districts (CBDs). Theoretically, this could apply to the Chatswood and St Leonards CBDs. At the moment it is optional for business owners to register to vote. 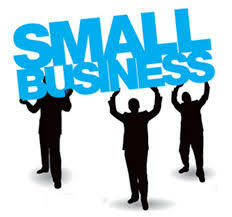 If the proposals are adopted, there would be a flood of businesses registering to vote at Local Government elections. In Victoria where business voting is mandatory, a business owner is entitled to two votes and the landlord of their building gets two votes (so much for the one person one vote ‘rule’). It is difficult to predict the outcome of such a proposal. If there were a lot of businesses in the area it is feasible that a ‘business voting block’ could elect their own member to Council. However, if this occurred that Councillor would only be one voice in thirteen. Willoughby’s The Concourse was partially funded by an increase in business rates. It would be interesting to see if a single ‘business Councillor’ could have had impact on such a decision.